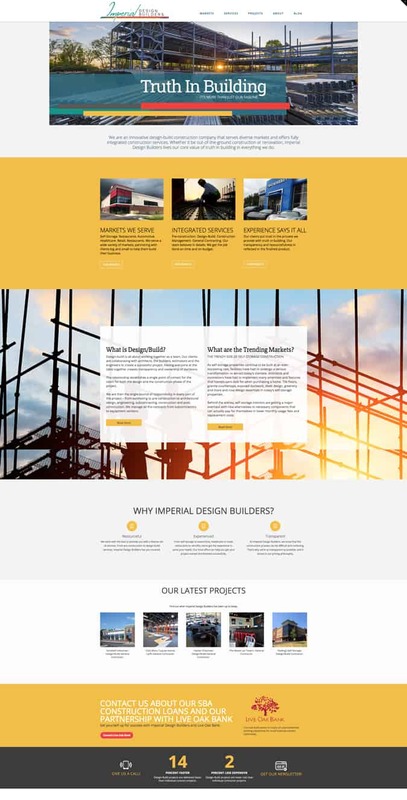 Website: Imperial Design Builders got a complete website redesign. This included all new UX design and branding to tell a better story of Imperial Design Builders. Changes included new company messaging and entirely new website functionality for ease of use by their customers. Additional pages were also added.